Congratulate me. After a little over a months hiatus, I am back knitting. It is not a grandiose project, but I think it will be treasured. 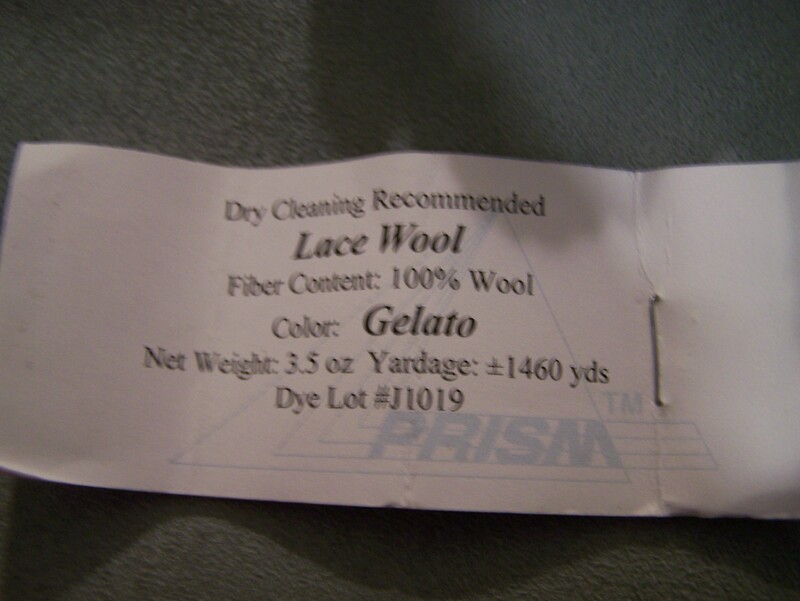 Back in January my mother bought me a skein of this gorgeous candy colored yarn Lace Wool yarn in Gelato made by Prism. We bought it from a small shop in Coral Gables, The Knitting Garden. It is a lace wool and I’ve been waiting for the right idea to pop into my head. 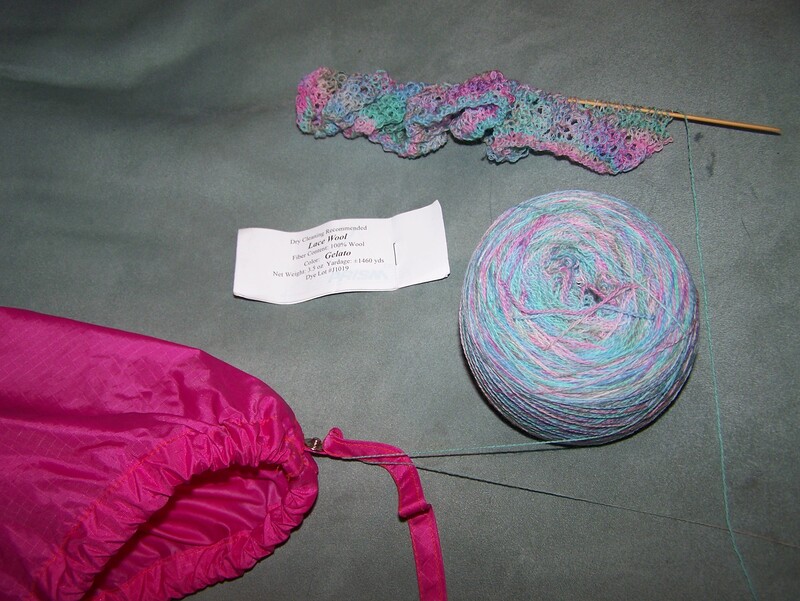 I’ve decided to start a shawl/scarf out of the light weight material seeing as the temperatures are going to remain hot in Southwest Florida for several more months. The only problem is that I’m using size 0 bamboo knitting needles. In other words, this is going to take forever. I know it will be worth it in the end. I’m attaching pictures of the project and the label. I’ll keep updating this as it goes a long. If anyone is in the area, I recommend checking out The Knitting Garden. It’s a cozy shop with a great selection and a comfortable environment. The staff is extra friendly. There are big chairs to sit and hang out and they even offer coffee and tea. It is an experience not to be missed. I look forward to going back one of these days. Hah am I literally the only comment to this incredible post? !